Hunger, poverty and inequality remains a significant problem facing the international community. While there have been substantial improvements to food security over recent decades, still, over 800 million men, women and children go hungry. In my lifetime, I can expect to see the global population reach three times the size it was when my parents were born: 3 billion in 1960 vs 9.7 billion in 2050. Additionally, people are living longer. In 1960, the average life expectancy was 50 years, compared to the projected 77 years in 2050. With a lot more mouths to feed for longer, and the need to reduce our environmental footprint, it can be frightening to think about how we are going to pull it off. However, I remain somewhat optimistic. I am a researcher in the fledgling stages of my career and am part of a network of motivated young people that want to make a difference through the work we do. It’s a group called RAID – Researchers in Agriculture for International Development. RAID is a program of the Crawford Fund, and has been supported by the Australian Centre for International Agricultural Research (ACIAR) since we began in 2013. Having grown up in the inner west of Sydney, I had little exposure and, therefore, had limited understanding of the importance of agriculture in everyday life. Aside from the obvious – that is the food we eat or the clothes we wear – so many things we take for granted have roots in agriculture, fisheries and forestry. It was only through my university studies that I gained an appreciation of the importance of agriculture in our lives. I also grew to understand and appreciate how much know-how, hard work and skill is required to be a farmer. “There are more losses than wins in farming” was a lesson I learned when I worked on a farm in the Central West of New South Wales. If I can use my skills and knowledge to contribute to lessening the struggles faced by farmers around the world – the farmers that we rely on so heavily for those things we take for granted – then that seems like something worthwhile. Agriculture directly employs approximately 26% of the global population. This varies dramatically between developed and developing countries, from 5% to two thirds, respectively. Understanding the make-up of the workforce plays a critical role in understanding how we approach issues facing agriculture. Even today, we don’t have a firm grasp of the contribution of men and women to the production of food in different countries due to the different cultural and social roles, and more importantly, how we define and measure these characteristics in different contexts. Dr Cherly Doss and colleagues illustrate this and argue that not having solid data on these issues have significant implications on how we go about addressing this through our actions. The importance of agriculture goes beyond the people employed by it or the products made from it. Understanding the interface of agriculture and the natural environment is essential to minimising the long-term negative effects. This includes how agriculture uses water and land efficiently, maintaining biodiversity and responding to disease outbreaks. A study in 2015 of 15,998 publications illustrated the importance of the wildlife-livestock interface in significant human diseases, in particular, zoonotic diseases. Additionally, a report by the United Nation’s World Food Program (WFP), concluded there was a particularly worrying interaction between food insecurity, conflict, and migration leading to further problems with food availability. By supporting agricultural development in food insecure regions, we can contribute to a country’s ability to feed its people and improving stability around the world. To me, this illustrates the need for an approach that questions an issue from multiple angles. To truly understand the world we live in, and the many complex issues, we need to look towards research and the scientific process – that is, coming up with an idea (hypothesis), looking for evidence to test it (collecting and analysing data), challenging these ideas with other researchers (peer-review) and being able to reproduce the same results (replicating). In a time of fake news and flat-earthers, its worrying that fewer people aren’t looking towards evidence and the knowledge generated by the research community. I think it comes down to researchers to become more creative in the way they communicate the importance of their research. Despite this, research should be guiding how governments, private companies and civil society design and implement their programs and policies. That’s why research funded by organisations such as ACIAR is so important. Moreover, its effective! In 2013, a task force led by the Crawford Fund reviewed the cost-benefit of ACIAR-funded projects developing countries and Australia. “The aggregate value of highly credible benefits is $12.3 million, which exceeds ACIAR’s total investment in bilateral research and development (R&D) of $2.5 million by a factor of 4.9:1. In our view this represents a lower bound estimate of the returns to ACIAR’s investment in bilateral R&D since 1982”. It’s likely this number is higher. Also, this doesn’t even account for the potential social and environmental benefits that are tricky to quantify in monetary terms. The benefits from this research do not stop at the recipient country. By engaging Australian and overseas researchers, we are able to work on issues that affect farmers in Australia. ACIAR CEO, Prof Andrew Campbell, describes in more detail these examples (and more) here. A personal interest of mine is hidden hunger: micronutrient deficiencies that can significantly affect an individual’s physical and cognitive development. The Crawford Fund 2018 Conference, ‘Reshaping Agriculture For Better Nutrition: The Agriculture, Food, Nutrition, Health Nexus’, will provide a platform for researchers, practitioners and policy makers to come together and discuss such an important issue. Even in the early stages of my career, I have had the good fortune to work in the realm of international agriculture research for development, including working alongside some remarkable people in Australia and overseas to help leave a positive impact on the world. Fingers-crossed I can continue to pursue a fruitful career helping people through evidence-based decisions, practices and policies in the area of agriculture, nutrition and health. 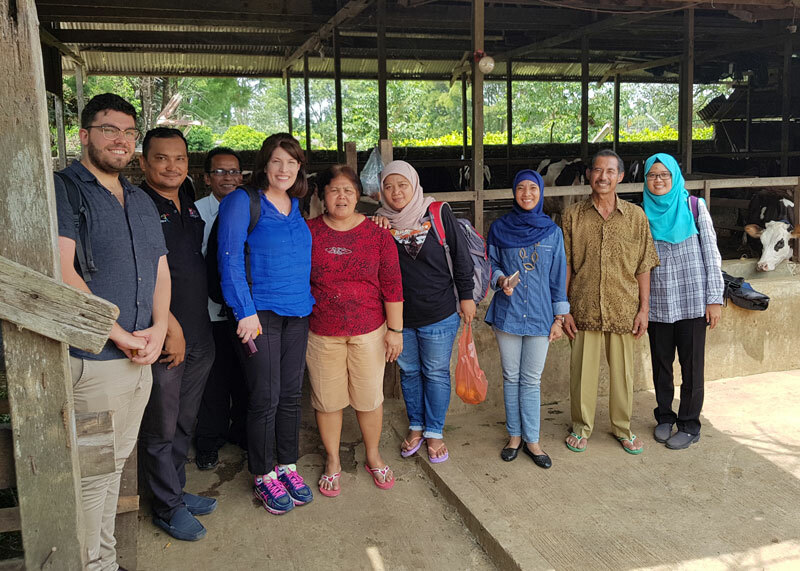 Jack Hetherington works at the Centre for Global Food and Resources (CGFAR), at The University of Adelaide, supporting a research for development project working with smallholder dairy farmers in Indonesia (IndoDairy). 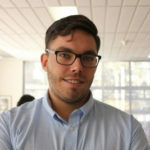 He graduated from The University Sydney in 2014 with a Bachelor of Animal and Veterinary Bioscience where he was fortunate to take on an honours project looking livestock ownership and child nutrition in sub-Saharan Africa with Dr Siobhan Mor. Following his studies, Jack has worked at ACIAR and has become involved with the RAID committee.